Bitcoin is back at TripleClicks! 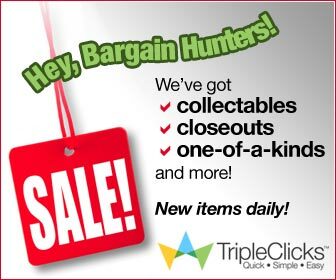 We are very excited today to announce that, effective immediately, we’re accepting Bitcoin again at TripleClicks! Yes, like these companies and many more, we believe that there is a major transition underway. The Internet has dramatically changed the world…and digital, decentralized currency like Bitcoin appears to be the next revolution. SFI intends to be an active participant in this revolution (both with Bitcoin and potentially other cryptocurrencies as well)! And especially for SFI and its million+ affiliates all over the world, Bitcoin has the potential to be a real game-changer. Right now, billions of people around the world cannot get a bank account and cannot make international transactions. Bitcoin changes all this. If you have access to the Internet, you no longer need a bank account, credit card, or other legacy payment method. Indeed, armed with just a basic smart phone and a free Bitcoin wallet app, you’ve got everything you need to start sending and receiving money right now. And, yes, we’ll be looking at paying out commissions in Bitcoin, too—paid instantly to your Bitcoin wallet! To spend your Bitcoin at TripleClicks, when checking out, simply choose Bitcoin as your method of payment and follow the simple directions provided. That’s it!